Making things better… for salmon! Opportunity for interpretation occurs in several ways. Set here and there amongst the park like grounds of the Charters Centre which follows along the north side of the Charters River, its cleared space ringed with an abundance of deciduous maples and lush ferns, the Douglas-fir and Western Red Cedar of the rainforest, visitors will find pictorial signage offering habitat and environmental information. 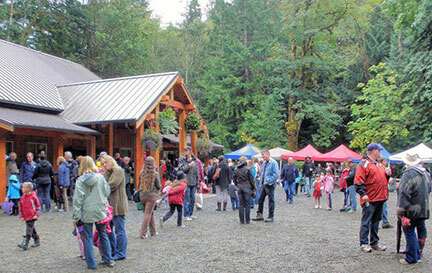 On the south side of the river, on CRD-owned land, in a partnership working arrangement with the Juan de Fuca Society, one finds a rambling nature trail allowing the walker to view the pools and the multi-hued foliage, following a circuit which affords a glimpse of the historic Charters River CNR railway trestle, now part of the Galloping Goose trail. Interpretive signs line this route as well. 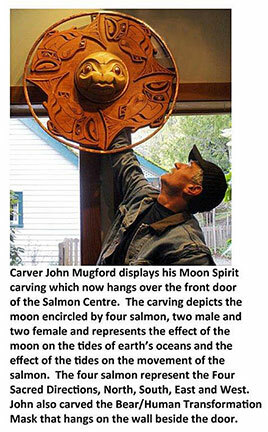 Within the Centre itself, exhibits portray aspects of the life cycle of the Pacific salmon, and identify elements of the environmental food chain. As well, artifacts are on show offering tidbits of historic background of marine life and the fishing industry. A group gathers outside the Charters River Salmon Interpretive Centre. 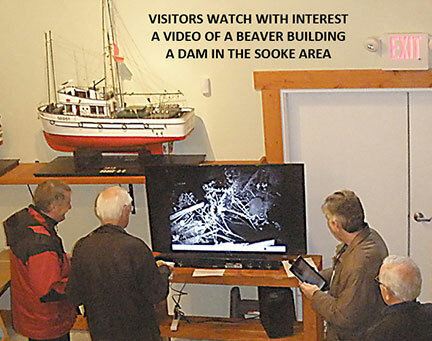 An educational video shows visitors beavers building a dam. 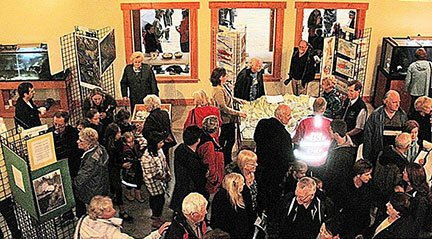 Visitors enjoy the diorama showing the Sooke River Watershed. 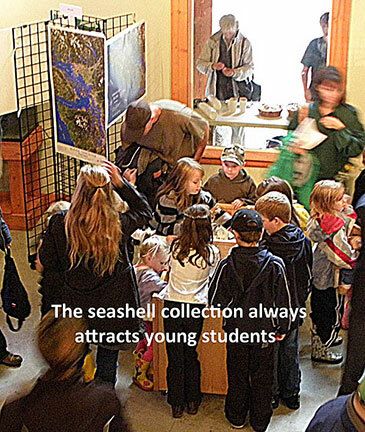 The seashell collection is popular with young students. 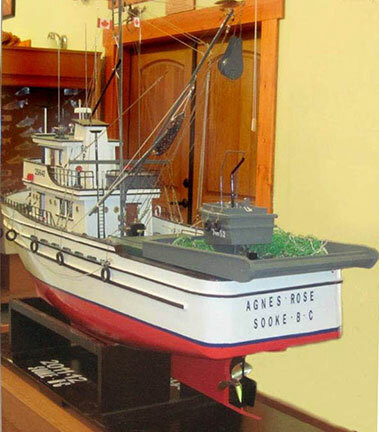 Particularly eye-catching are meticulously carved and intricately fitted models of fishing vessels, the contributed work of a member of the T’Sou-ke nation, Harvey George. Also of great historical significance is an exhibit documenting some of the views expressed by members of the T’Sou-ke nation as they describe the importance of the Pacific salmon in their centuries-old traditions. A saltwater aquarium is a popular feature of the Centre, with a variety of marine life that fascinates viewers as the tank’s inhabitants frisk about, carrying on their daily activities. 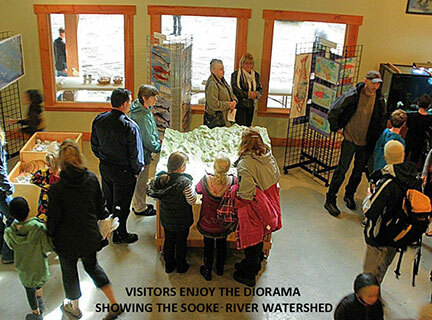 A diorama showing the terrain of the Sooke River watershed gives visitors the opportunity to place the life of the salmon and its place in the eco-environment into a broader perspective. Electronic eye microscopes are popular with visiting youngsters. Content © 2016 – 2017 Juan de Fuca Salmon Restoration Society. All rights reserved.